To travel to a new place and explore a new culture is indeed a fascinating thing to do. But what about actually settling partially and working in a totally new part of the world? Well, today we have a very interesting person who has done just that – and a little bit more – by introducing his own root culture in this new home of his. Meet Minseok Seok from Seoul, South-Korea who has been staying in India for the past nine years across Chennai and Bangalore – and have now opened his own restaurant called “Daily Sushi” in Bengaluru. 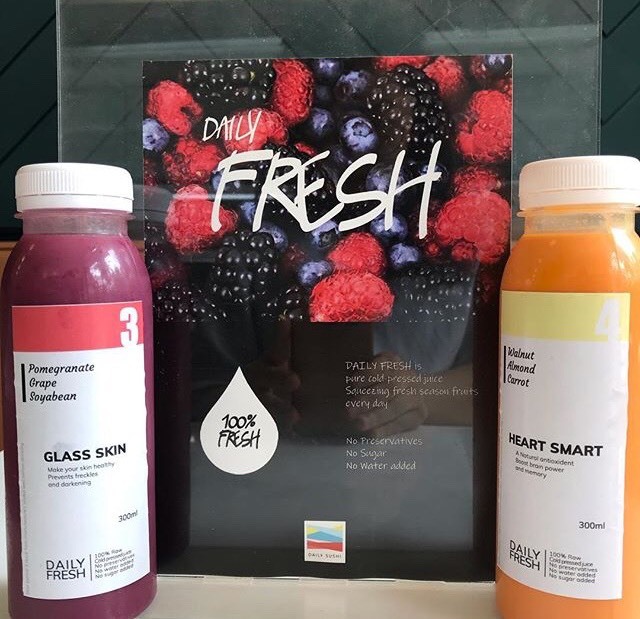 Besides the delicious spread of authentic Asian food – from sushi, sushi rolls (gimbap), ramen, rice bowls to cold-pressed juice, what’s also interesting is the “Grab-and-Go” concept which aims to bring a casual and instant touch to your sushi dining, which he says is often perceived as too posh, or slow dining. “Customers can just step in and Grab the food and Go (GRAB-N-GO and Enjoy!). Many people think Sushi and most Japanese foods are expensive. But we want to serve our authentic Asian food casually and quick!” says Minseok, owner of “Daily Sushi.” Let’s chat with him as he talks about his work in India, “Daily Sushi” and it’s whereabouts in #Bangalore, and how his long stay in India has made him consider the country as his second home. Let’s find out more and get to know him better! 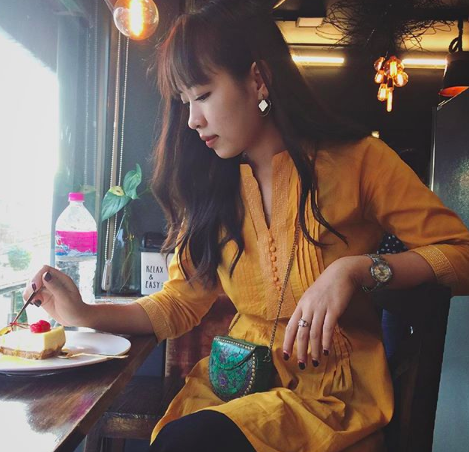 We had a chat with Minseong Seok – entrepreneur from Seoul, South Korea and owner of the “Daily Sushi” restaurant in Bangalore. He talks about his stay in India for nine years, his restaurant and more! Photo : Minseong Seok from Seoul, South Korea. Hello Minseong! Good to have you here, please introduce a little about yourself. 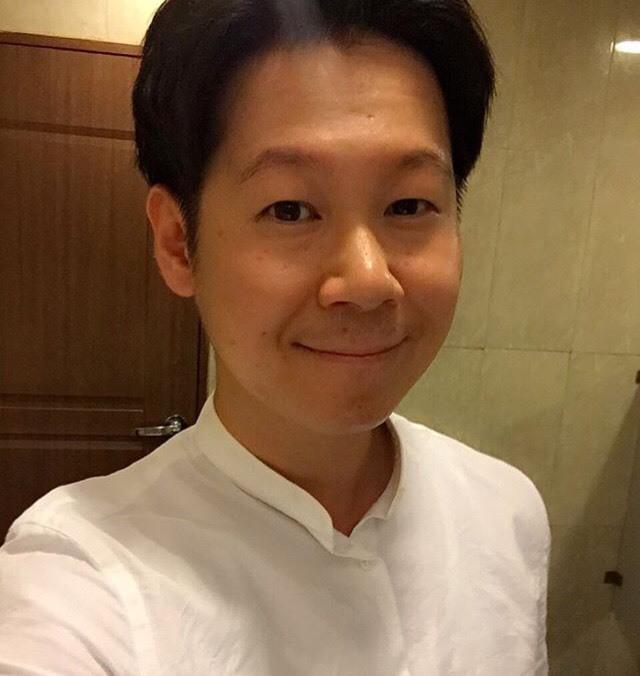 My name is Minseong Seok, 37-years-old from Seoul, South Korea. Currently, I’m living in Bengaluru, India. I’ve been staying in India for the last 9 years in Chennai and Bengaluru, doing couples of business in different industries. Tell us about your experience of living in India? 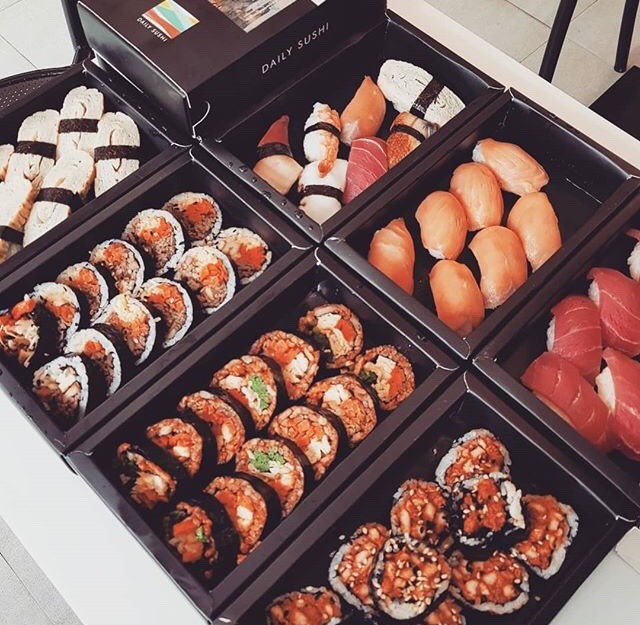 What made you start this venture,”Daily Sushi”? Some of the businesses that I’m engaged in are for financial earnings while some – I do it for my personal interest. The Daily Sushi is the second one for me. I’m a big foodie and passionate about cooking. “Daily Sushi” restaurant at Whitefield, Bengaluru. Daily Sushi” restaurant at Whitefield, Bengaluru. Tuna Sushi of the “Daily Sushi” restaurant. Mixed Sushi by the “Daily Sushi” restaurant. Tell us about your place and when was it launched? The restaurant location is Whitefield, Bengaluru. It is situated at the south-east part of Bengaluru. Whitefield is full of IT companies and fast growing-developing area. There are also many luxurious villas around the area. 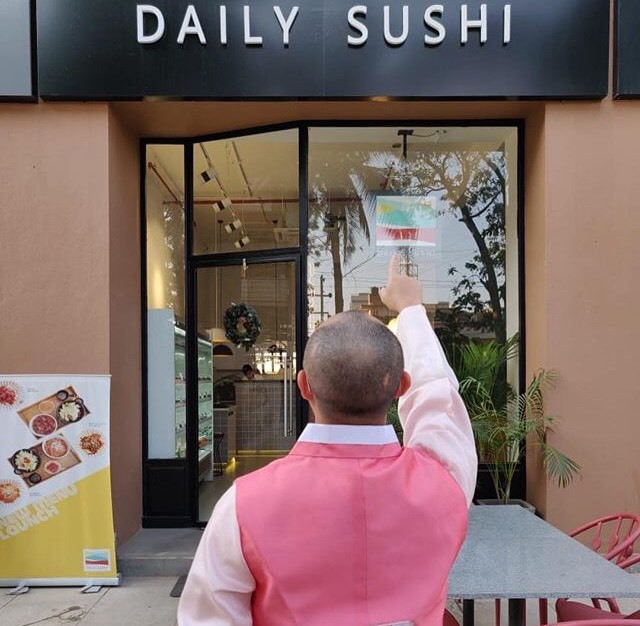 The Daily Sushi was launched last August, 2018 and we just opened our second outlet in Marathahalli, east part of Bengaluru, Whitefield district. 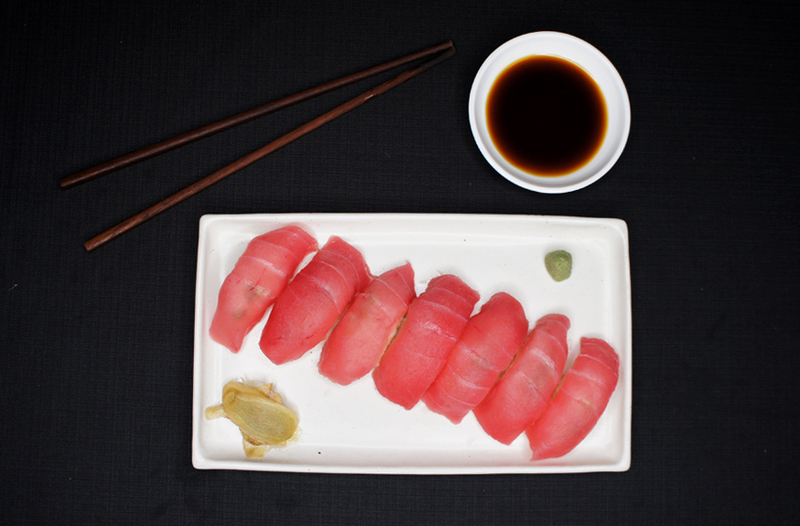 Tell us the meaning behind, “Daily Sushi”. 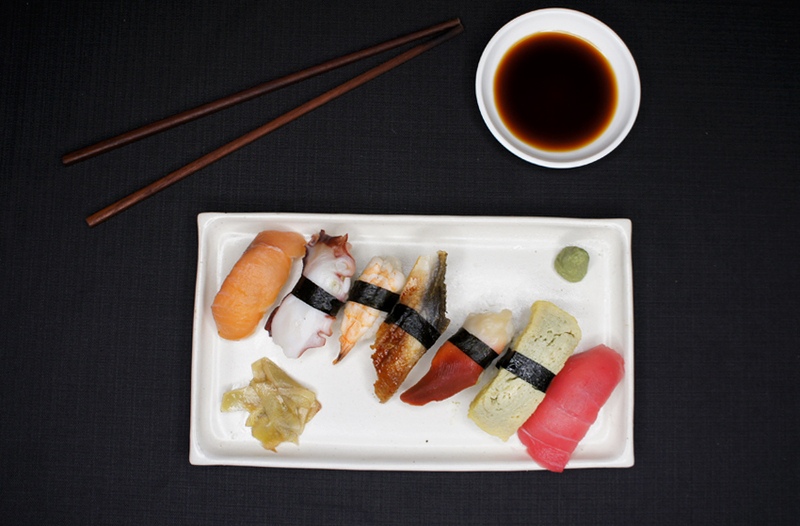 The name, “Daily Sushi” comes from the meaning of ‘Fresh Japanese(Asian) foods’. 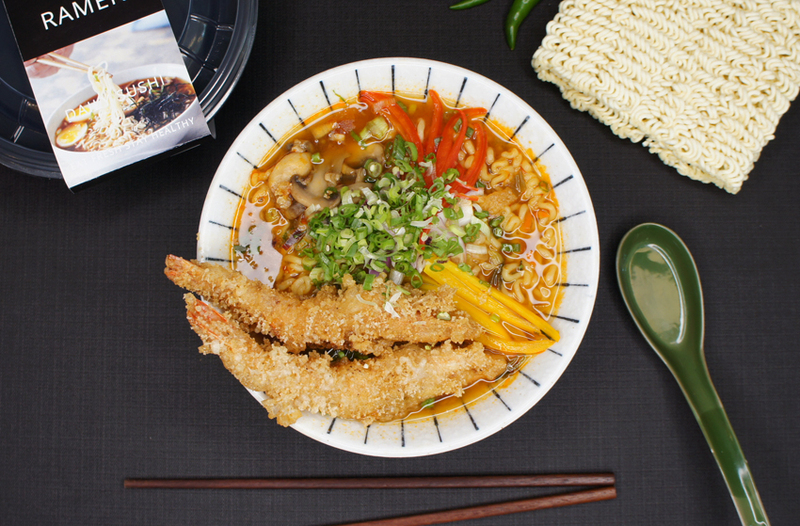 Here, we do not serve only ‘Sushi’ but we also serve Ricebowl, Ramen and Fresh cold pressed juice, etc. Fresh squeezed juice at “Daily Sushi” restaurant. What is so special about “Daily Sushi”? Actually we designed our restaurant focusing on take away and delivery. 90% of the menus are readily available in the showcase chiller of the restaurant. Customer can just step in and grab the foods and Go (GRAB N GO and Enjoy!). Many people think Sushi and most of Japanese foods are expensive. But we want to serve our authentic asian food casually and quick! What is the most special thing on your menu? ‘Sushi rolls’ it is. 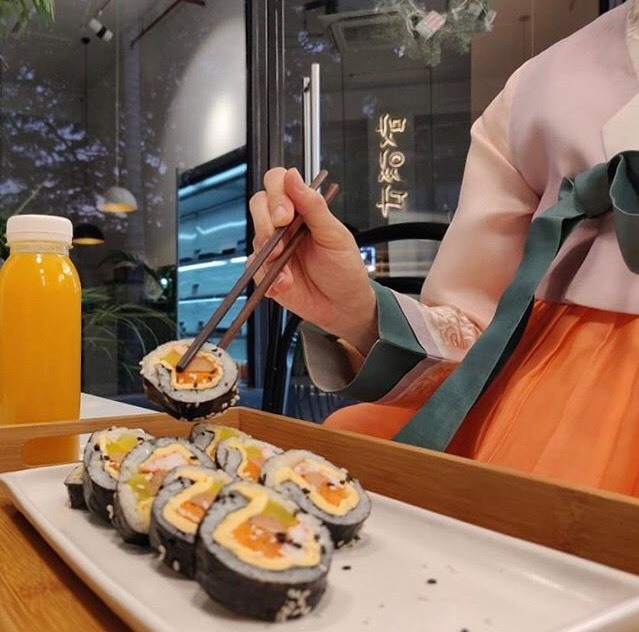 We have 12 different taste of sushi rolls – it is actually Korean style sushi roll called ‘Gimbap’ in different mix and fresh ingredients. It will give you lip smashing experience. Actually I would like to mention that everything on the menu are special!! lol. 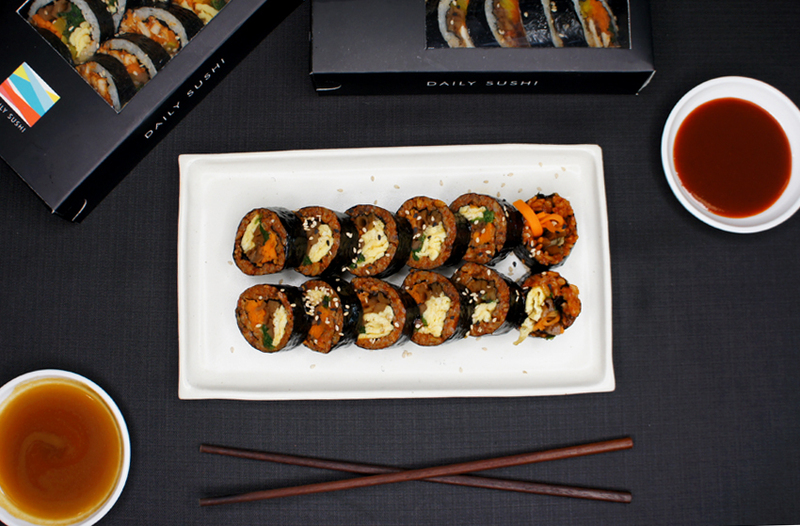 Gimbap roll at the “Daily Sushi” restaurant. 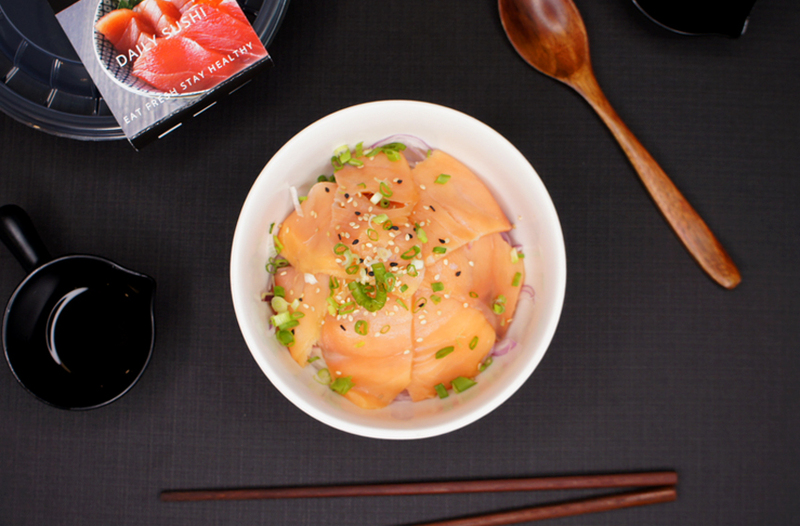 Follow Minseong Seok’s resaturant “Daily Sushi” on Instagram to get all the updates!